Berrett-Koehler is a publisher that stands for change and strives to make the world a better place. Their books showcase this desire for positive development, from business books that instruct on how to make the workplace a better place to diversity books that highlight what is often cast in shadows. A publisher with firm values, they continue to help the world evolve. Here are the BK books we’ve reviewed in 2015 and 2016 as well as the books that were finalists for our 2015 INDIEFAB Awards. And be sure to read the interview with Maya Schenwar, author of Locked Down, Locked Out: Why Prison Doesn’t Work and How We Can Do Better published by Berrett-Koehler. Though voters seem to have lost their will to collaborate, hope is not lost, and this book proposes a way forward. In this thought-provoking book that serves as a call to action, Mark Gerzon posits that most Americans today will never respect, let alone vote for, presidential candidates they vehemently disagree with. “We have lost our capacity to collaborate,” Gerzon says. This carefully organized book identifies and outlines the polarized viewpoints that define the dichotomous party system responsible for today’s bitter partisanship. He says that the majority of voting Americans “confirm what we already believe so unquestioningly.” We become, he further argues, prisoners of our points of view, incapable of bridging distances. As a corrective, The Reunited States of America encourages learning about issues from people with different perspectives. The hope is that doing so will result in expanded points of view and engender a return to a workable common ground. 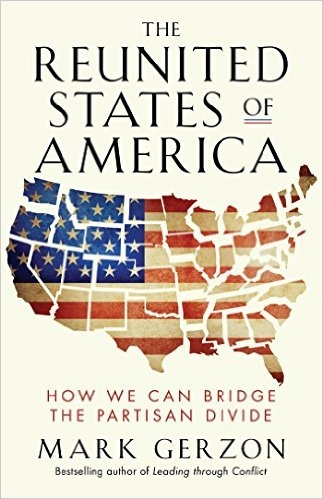 The Reunited States of America is both an indictment of current political failings and a hopeful look at ways in which voters might bridge a widening divide. This is a better option for all those who feel distressed by the current political climate. A crowdfunding expert shares his secrets in this breezy book full of words of wisdom. Crowdfunding is a phenomenon that has helped launch countless businesses. It basically involves conceptualizing a product and sharing the idea with potential online investors. If enough investors pledge money at various levels and the project’s funding goal is met, the creator of the product receives the funding. Jamey Stegmaier, who has run six successful projects on Kickstarter, the leading crowdfunding platform, started blogging about crowdfunding to share his experiences with others. This led him to create A Crowdfunder’s Strategy Guide, which, in addition to drawing on his blog’s content, offers a more in-depth look at numerous successful crowdfunding projects. The stories Stegmaier tells in his breezy, informal narrative are engaging, but woven throughout the examples are words of wisdom born from experience. Sections such as “The Top Five Ways to Treat Backers as Individuals, Not Numbers,” “Top Ten Ways to Prepare Your Product for Worldwide Fulfillment,” and “How to Quit Your Day Job in Four Easy Steps” convey specific suggestions that are sure to help minimize the risk for anyone who launches a crowdfunding campaign. The material Stegmaier includes at the end of the book is equally valuable. For example, he summarizes his blog posts in a section called “125 Crowdfunding Lessons in 125 Sentences,” and he appends a “One-Week Checklist” that details the steps to take before launching a project. 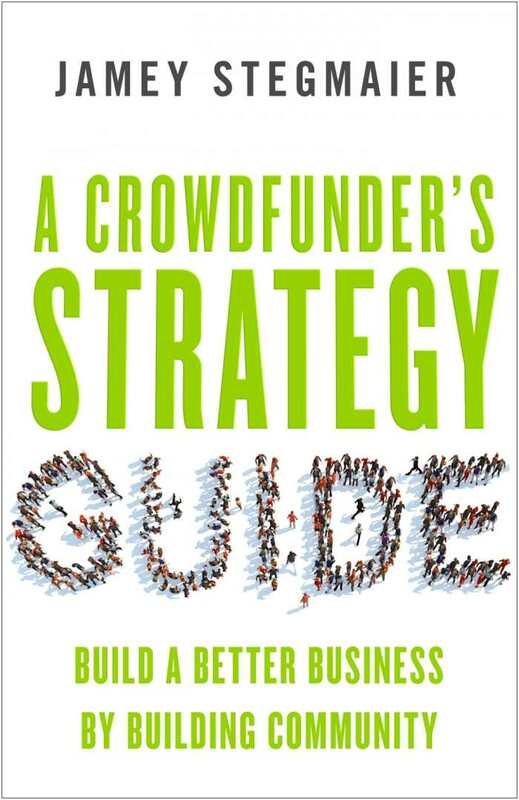 A Crowdfunder’s Strategy Guide is authoritative and comprehensive, yet easy to read. This book should do much to answer basic questions about crowdfunding and provide those interested in using crowdfunding with a valuable playbook. This thorough and convincing guide incorporates a rejuvenating mindfulness to encourage productivity and enjoyment of the everyday. Management guru Devora Zack realized she hit the rock bottom of multitasking when she found herself balancing in a complex yoga position while editing book pages strategically placed on her mat. Certainly, we are all guilty of trying to kill two birds with one stone in the race to finish our endless to-do lists. But in Singletasking: Getting More Done, One Thing at a Time, Zack successfully proves that the more we try to juggle, the more we slow ourselves down, produce inferior work, and create more stress. With this book, she puts individuals back in control of their day instead of just reacting to endless stimuli. 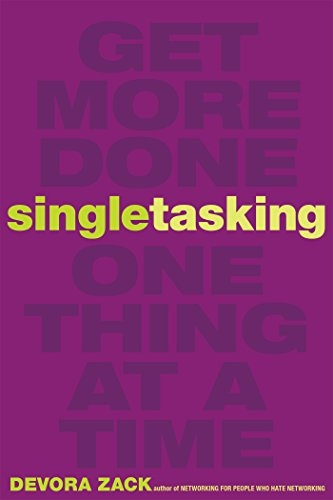 She begins by unraveling myths of multitasking’s efficiency before providing real-life techniques to singletask. Lastly, she explains how to apply these singletasking methods to life outside the workplace. Throughout, Zack’s tone is impassioned, encouraging, and empathetic—after all, she freely admits to battling the urge to multitask herself. Zack’s outlined methods for singletasking make the book invaluable. For example, she suggests creating a “Parking Lot” list to quarantine distracting tasks that pop up. She also cautions against using a smart phone as an alarm clock to avoid interruptions by the phone’s myriad notifications of emails and texts. She also advocates clustering similar tasks, like emailing, to three deliberate times a day in order to avoid continual distraction.